SAN ANTONIO (Jan. 7, 2016) – The United Soccer League announced today that they have awarded the 31st USL franchise to Spurs Sports & Entertainment, officially welcoming San Antonio to the league. Additionally, SS&E has named Darren Powell head coach for the team that is set to begin play at Toyota Field in March 2016. Powell, a native of England, comes to San Antonio from Orlando City SC of Major League Soccer where he oversaw the Club’s Pro Academy and U.S. Soccer Development Academy programs. In his two seasons with the Development Academy in Orlando, Powell showcased his prowess for helping develop young talent and was a key part in creating success for the program. The club qualified for the 2015 U-16 and U-18 U.S. Soccer playoffs and was also recognized as the Most Improved Academy in the East by U.S. Soccer. Additionally, the U-16 team received Best Style of Play honors in 2015. Prior to joining Orlando City, Powell was the head men’s soccer coach at Elon University for nearly a decade. During his tenure with the Phoenix, Powell became the school’s all-time winningest coach, posting a 94-68-23 record over his nine seasons and was named Southern Conference Coach of the Year on four occasions. The USL is a vital part of the growth of soccer in North America, on and off the field. With 24 clubs in the 2015 season, the USL looks to expand strategically with strong ownership groups that share the league’s passion and vision, in markets that are positioned for long-term success. The USL has previously announced the addition of clubs in the Rio Grande Valley, Cincinnati, Lehigh Valley, Orlando and Kansas City for the 2016 season, and Reno for the 2017 season. The addition of a San Antonio franchise to a region that includes teams in Oklahoma City, Rio Grande Valley and Tulsa provides a great opportunity to develop exciting rivalries. Last month, SS&E announced that it reached an agreement with Bexar County and the City of San Antonio to operate a USL soccer franchise at Toyota Field starting in 2016. The deal is part of a collaborative effort by the city, county and SS&E to pursue bringing Major League Soccer (MLS) to the Alamo City. Five of the last seven new MLS franchises played in the USL. The soccer-specific stadium opened in April of 2013 and has a capacity of 8,500. Fans can learn more about the franchise at USLSanAntonio.com and can follow the team on Twitter at @USLSanAntonio and on Facebook by liking USL San Antonio. Fans interested in being a part of the inaugural season can place their $50 deposit for 2016 season tickets online at USLSanAntonio.com or by calling 210-444-5MLS. More club details, including team name, club crest and jersey design, will be announced in the near future. SAN ANTONIO (Dec. 22, 2015) – Spurs Sports & Entertainment (SS&E) today announced they have reached an agreement with Bexar County and the City of San Antonio to operate a soccer franchise at Toyota Field in 2016. The deal is part of a collaborative effort by the city, county and SS&E to pursue bringing Major League Soccer (MLS) to the Alamo City. The announcement was made at a press conference held at Toyota Field this morning. Toyota Field, a soccer-specific stadium in Northeast San Antonio, was purchased by the City of San Antonio and Bexar County for $18 million. As part of the agreement, SS&E has donated $3 million to Morgan’s Wonderland, a special needs theme park established by Gordon Hartman. SS&E agreed to a 20-year lease to run all operations within Toyota Field, while also pursuing an MLS franchise. The stadium opened in April of 2013 and has a capacity of 8,500. Spurs Sports & Entertainment plans to operate a USL franchise in 2016. The USL is the largest professional soccer league in North America and features strong leadership and established ownership groups. The competitive league is comprised of successful independent teams as well as MLS-owned and operated franchises. Five of the last seven new MLS franchises played in the USL. A team website has been established at USLSanAntonio.com, and fans can follow the newest professional franchise in the Alamo City on Twitter at @USLSanAntonio and on Facebook by liking USL San Antonio. Fans interested in being a part of the inaugural season can place their $50 deposit for 2016 season tickets online at USLSanAntonio.com or by calling 210-444-5MLS. SS&E will also operate the South Texas Area Regional (STAR) Soccer Complex, which is located adjacent to Toyota Field. STAR Soccer Complex includes 13 fields that provide resources for many local youth soccer organizations and adult recreational leagues. The team name for the new USL San Antonio franchise along with a club crest and jersey design, will be announced in the near future. The USL is a vital piece of the growth and development of soccer in North America, on and off the field. With 24 clubs in the 2015 season, the USL looks to expand strategically with strong ownership groups that share the league’s passion and vision, in markets that are positioned for long-term success. The USL has previously announced the addition of clubs in the Rio Grande Valley, Cincinnati, Lehigh Valley, Orlando and Kansas City for the 2016 season, and Reno for the 2017 season. Formed in 2011, the league was known as USL PRO prior to being rebranded “the United Soccer League (USL)” before the 2015 season. Spurs Sports & Entertainment is the premier provider of sports and entertainment in South Texas. 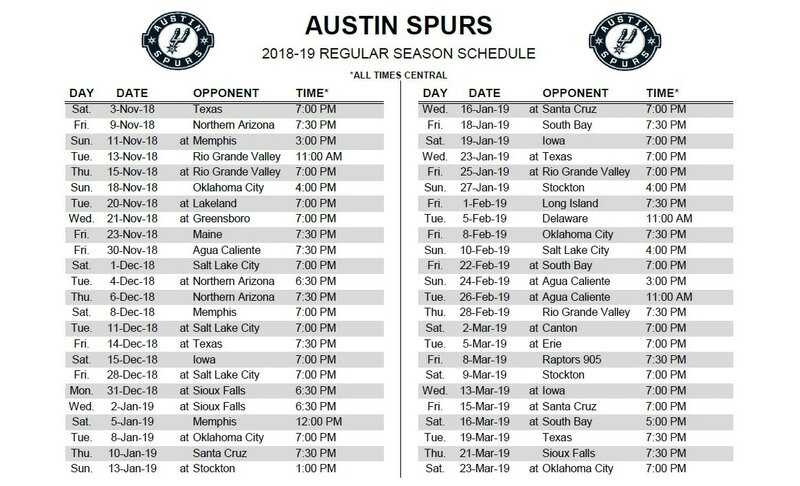 SS&E owns and operates the San Antonio Spurs (NBA), San Antonio Rampage (AHL), San Antonio Stars (WNBA), Austin Spurs (NBA Development League) and also manages the day-to-day operations of the AT&T Center.